Brighton Rocked! A Long Weekend Away. 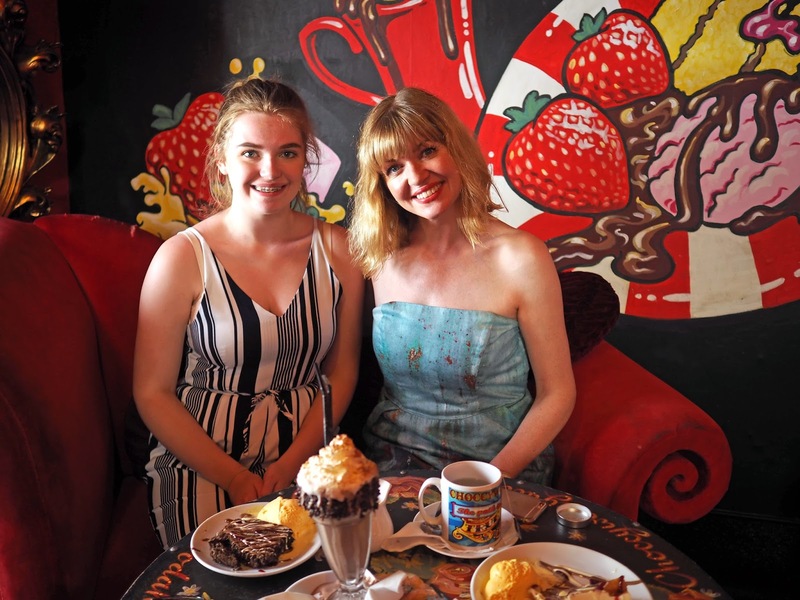 If you read my previous post, or follow me on Instagram, you’ll know that my daughter Poppy and I went to Brighton for a long weekend. It’s somewhere we’d wanted to visit and because my son was away on a foreign exchange trip and Poppy has finished school after completing her GCSEs, it seemed an excellent opportunity. Brighton Palace Pier, The Beach and The Seafront. Brighton is of course famous for its pier and this one opened in 1899. It is exactly what one would expect- ice-cream, seafood and amusements. It’s a pebble beach which is immaculate. There were sunbeds, deckchairs and parasols to hire. We stayed at the Old Ship Hotel (below), which we chose for its seafront location. This is all that remains of West Pier following the fire in 2003. Opposite West Pier is British Airways i360, the younger sibling of The London Eye and reaching 138m, is the world’s highest moving observation tower. We were unbelievably lucky with the weather which meant the views across Brighton and the South Downs were nothing short of spectacular. The light inside was incredible, (none of the photos taken have been edited in any way). Belle Vue is the associated seaside restaurant, which served an excellent brunch and rather nice champagne. Before we went to Brighton, Poppy did some research and said that Bills Restaurant was somewhere we must visit. We went for brunch on our first morning there and liked it so much that we returned on our last day. The food was outstanding and the decor and vibe were simply fabulous. 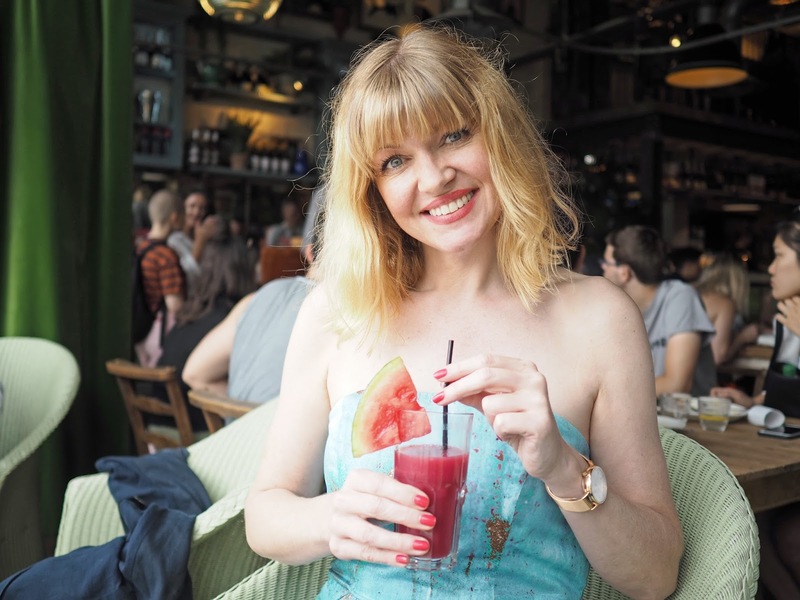 I highly recommend the watermelon, raspberry and peach juice which I had on both visits. It’s located very close to North Laines, a shopping area full of independent retailers with something for everyone. We dined one evening in Nu Posto, an Italian restaurant with a very laid back atmosphere and excellent pizza. And ate al-fresco at Taste, which had an excellent choice of seafood. I can’t find a website to which to link, but the address is 43-45 Kings Road. and it overlooks the seafront. Choccywoccydoodah is a chocolaterie and cafe in the South Laines of Brighton. There is nothing savoury on the menu and even the lemon cake which I chose because it was the least sweet-sounding thing on the menu was too sweet for me to finish! It’s a fabulously quirky place; the creations appealed more to my eye than my palette, but the skill and artistry however, are incontrovertible. A walk along the seafront and away from the piers leads to the cutest rows of beach huts. In a myriad of colours, they epitomise the British seaside. Also in a myriad of colours is Brighton’s graffiti and street art. We were particularly keen to see the replica of Banksy’s iconic Kissing Coppers and it took a while to spot them on the side of The Albion pub. I’m glad we persisted; we both thought it a beautiful piece of art. We had an amazing time from start to finish and loved the upbeat, eclectic and vibrant vibe that Brighton has to offer. This was a weekend to remember. *These items were gifted. My opinions are always 100% honest and the content is always my own. My opinions are always 100% honest and the content is always my own. Thank you for supporting those brands, companies and organisations that support What Lizzy Loves. Next Post Why Hyaluronic Acid Affects The Skin And My Trial Of PureHA, An Oral Supplement. Great photos Lizzy. I remember a weekend in Brighton many years ago. Really vibrant place with a totally different vibe than any other seaside town. I haven't been to Brighton but having seen your photos it's now on my bucket list for places to see – it looks fabulous and great fun!! You timed it perfectly for the weather. Ah Liz, I feel as if I was there with you. I've only visited Brighton once but it certainly stole my heart. 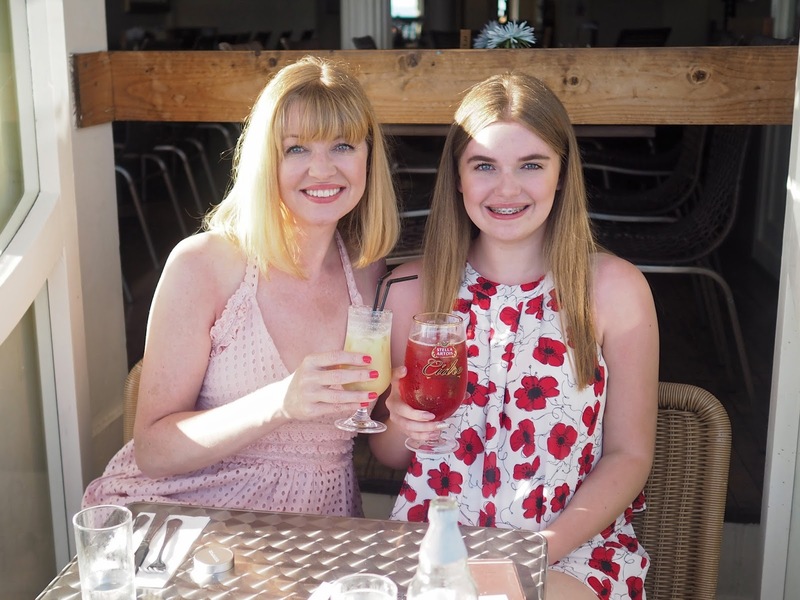 It's so lovely to see you spending such a wonderful time with Poppy (who is gorgeous by the way – she obviously follows her mum). I feel like I should have been able to see that i360 thing when I did the South Downs Relay last month but maybe there was a socking great hill in the way… ha ha! I could see the Brighton FC stadium from the start of my Ditchling Beacon leg but I can't remember if I could see the sea or not. It wasn't there when I did the marathon in 2012 but I'd love to go up in it one day and take in those views! There is nowhere quite like Brighton – very special for all sorts of reasons but very much a one-off. Looks like an awesome weekend! I love the pictures with the donut-shaped sculpture, and the food looks great!